Innovative perspective in the national consolidation strategy in Ukraine. / Analytical report. Інноваційна перспектива у стратегії національної консолідації в Україні. Аналітична доповідь / За ред. О.М. Майборода. – К.: ІПіЕНД ім. І.Ф. Кураса НАН України, 2013. – 280 с. The analytical report was prepared on the basis of scientific and research work “National and integrative potential of scientific and innovation policy in Ukraine: social and humanitarian aspects” which was performed at I.F. 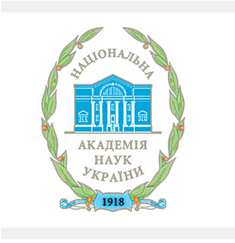 Kuras Institute of Political and Ethnic Studies of the National Academy of Sciences of Ukraine in 2013. It deals with the problems of innovative development of Ukraine and the impact of innovative technology on the prospects for social and human development of the society in order to ensure its competitiveness in the global geostrategic space.